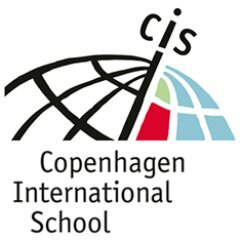 In the course of the services we provide to you, the International School of Copenhagen (hereinafter “CIS” or “we”), will process personal data relating to you and your children. With regard to such processing, CIS will qualify as data controller. In this capacity, CIS strives to comply with applicable data protection regulations, such as the Law 502 of 23 May 2018 and the European General Data Protection Regulation 2016/679 of 27 April 2016 on the protection of privacy in relation to the processing of personal data, as may be amended from time to time. This Copenhagen International School Privacy Notice (hereinafter “Notice”) explains how we collect and use personal data, who we share it with and the ways in which we protect your privacy while doing so. This Notice applies to all personal data collected for and on behalf of CIS. This pertains to both information collected in analogue form (forms, documents, in writing) and through technological means, such as information systems and email. From time to time, we may make you aware when we require additional personal data for processing activities through a separate specific privacy notice. CIS reserves the right to make changes to this Notice from time to time, for example in the light of new developments or new legislation. CIS will always inform you of such changes in advance. In any event, it is recommended that you consult this Notice regularly. Personal data relating to you or your children can be obtained directly from you or your children, for example via completing the Application form, via information provided via Classlists©, Googleforms©, Veracross©, via meetings with teachers and staff, etc. Personal data relating to you or your children also obtained by actions of CIS itself or its data processors, e.g. through evaluations, camera surveillance, access control measures, etc. CIS collects personal data, including special categories of personal data of students and parents to provide a safe and caring international environment for teaching, learning and general educational purposes. to respond to requests of our staff and (former) students regarding historic information pertaining to their time at CIS. We collect and use personal data to carry out the education services as prescribed above. We do so under the lawful basis that the processing is necessary for the performance of a contract in which you are entering or have entered into. In some circumstances we may have to process data for other purposes that are not necessary for the performance of the contract. In such cases, the processing may be based upon (i) our legitimate interests, such as providing a safe learning environment, maintaining the CIS community, fundraising, etc., (ii) on the protection of you or your children’s vital interests, (iii) on the compliance with our legal obligations and/or (iv) on the consent you or your children may have provided to us. In general, your personal data are stored on our own servers and on the servers of our data center service provider, located in the European Union. Regarding transfers outside the European Union, see Article 6 of this Notice. Your personal data is shared internally within CIS for the purposes of delivering the services required. Government organizations, police, health and social care (where we are required to do so by law, or where we have obtained your consent to do so). Parents and students may exercise a number of rights with regard to the processing of their personal data vis-à-vis CIS, in so far as they effectively have those rights under applicable data protection legislation, such as the Law 502 of 23 May 2018 and the European General Data Protection Regulation 2016/679 of 27 April 2016. Right to object – the right to object on grounds relating to your particular situation to the processing of personal data based on the legitimate interests of CIS, and the right to object to the processing for direct marketing purposes. Right to information and access – to request access to and a copy of the personal data CIS holds on you, as well as the right to information about relevant aspects of the data processing by CIS. This Notice serves to inform you thereon, but do get in touch if you have any questions. Right to erasure – to request the deletion or removal of personal data in specific circumstances, for example if your personal data are no longer necessary for the purposes pursued by CIS or if there no longer is a legal ground for the data processing. The Datacontroller is Copenhagen International School, CVR 53060811.